You can call it that game with the Archie lookalike giving the thumbs-up sign, or a reminder of that late ‘50s and early ‘60s hysteria when some people thought they needed bomb shelters in the event of a nuclear holocaust. 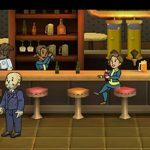 But while there’s a definite retro tinge to Fallout Shelter, we’d still say this is a futuristic iOS-only game set in a fictional post-apocalyptic setting, where you’re in charge of a settlement living in an underground vault. Your objective is to keep your dwellers happy, contented, and productive as you grow your settlement. But what’s to do about those resources? 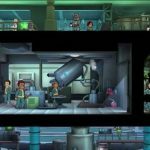 Managing resources, after all, is one of the main mechanics in this game, and if you don’t manage them properly, your dwellers will be in big trouble. 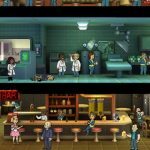 Having said that, we’ve come up with some suggestions on how to get yourself more resources in Fallout Shelter, so read on if you need some help in this facet of the game – this is the first in a two-part series. Take stock of the number of dwellers you have and bear in mind that these dwellers consume your resources. Considering that, it’s ideal to have the least possible rooms in relation to the number of dwellers, while making sure all upgrades are done at the soonest possible time. If you upgrade a room that you already have, you won’t be using more resources than you used to, but rather producing more resources. Yes, we told you last time that using the time lapse cheat may not always be the best idea. But when you’re low on food, water, and power, and need it replenished quickly, you can use this cheat by setting the time ahead on your iPhone or iPad by the time remaining on the longest timer. You can then return to your game, collect all resources, and keep your settlement well-fed and with electricity. But if you set the time ahead by too far, you may end up squandering your resources instead of replenishing them. As for the rush command, this is another thing we told you about in our list of general tips and tricks. We said that it would be a good move to rush certain things at certain times, but rushing when you need resources isn’t such a bright idea. While the rush command can get you resources faster assuming it is successful, you may lose a substantial amount of time if the rush doesn’t work as planned. If you’re stuck in a situation where you need to recover resources quickly, those lunchboxes will randomly give you some food, water, or power. Like we told you last time, only use the lunchboxes when you really need them, and focus on good resource management; if your resource management strategy is sound, there’s a chance you won’t need any lunchboxes at all. 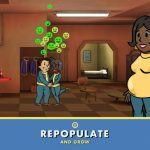 If you need more tips on managing your resources, be sure to check out the second part of our Fallout Shelter strategy guide, which deals with resource generation.